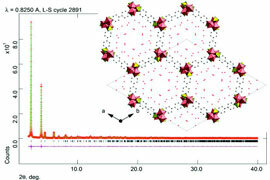 quantitative analysis of different types of samples, such as mineralogical samples or pharmaceutical formulations. 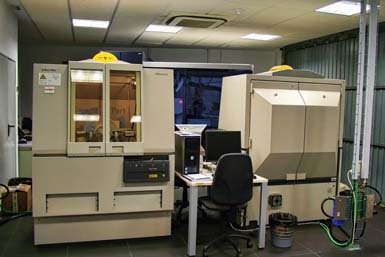 In the Crystallisation Factory we have two PANalytical X-ray diffractometers: a Materials Research Diffractometer (MRD) and a MultiPurpose Diffractometer (MPD). The MRD Diffractometer is suitable for high resolution work, especially for the analysis of thin films, stress, crystallite size and textures. The MPD is suitable for the analysis of polycrystalline materials at room temperature. The X-ray software available allows us to compare diffraction patterns, Rietveld phase analysis, crystal orientations, textures, residual stresses, particle size analysis, film thickness, epitaxial layers, etc. The data can be exported to spread sheets and other graphical programmes. 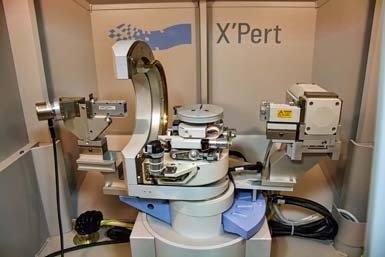 General Purpose X-ray Diffractometer (PANalytical X’Pert Pro MPD) is used for the phase analysis of polycrystalline samples either in reflection of transmission modes. 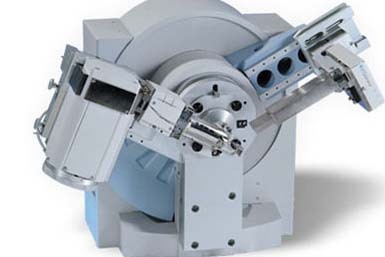 The diffractometer has a vertical Θ-2Θ goniometer (240 mm radius). The x-ray source is a ceramic x-ray tube with Cu anode. The optical system consists of programmable divergence slits (PDS), anti-scatter system, programmable receiving slits (PRS), incident and diffracted beam Soller slits, and a Pixcel multichannel detector. The main application of this system is for phase analysis of polycrystalline samples, quantitative phase analysis and grazing angle analysis. It is also prepared to measure samples in capillaries in transmission mode. Bragg geometry for stress and texture studies in polycrystalline solids. Typical applications include powder diffraction, stress and texture analysis of polycrystalline solids). Grazing-angle geometry for the analysis of phases of polycrystalline thin films and x-ray reflection for film thickness. 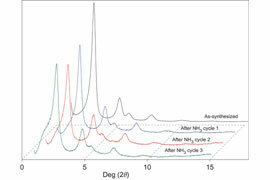 Applications include phase analysis of polycrystalline thin film samples and x-ray reflectivity. 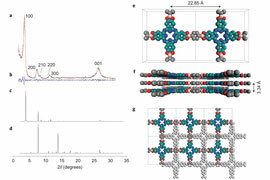 Bruker D8 Advance Vario Diffractometer for high resolution powder X-ray diffraction analysis either in reflection or transmission modes (Bragg Brentano and Debye-Scherrer geometries). 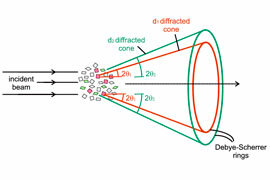 The diffractometer has a Θ-Θ goniometer (217.5 mm radius). 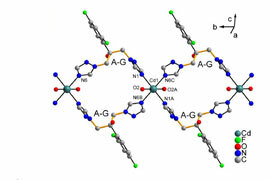 The X-ray source is a sealed Cu tube provided with a primary Johansson Ge (111) monochromator that delivers pure Kα1 wavelength. 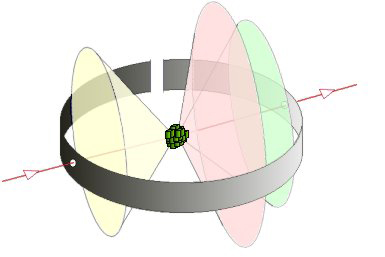 The detector is a PSD Lynxeye which allows for fast scans and a resolution comparable to scintillation detectors. The main applications of this system are the structural analysis, quantitative Rietveld and microstructural analyses, due to its very good instrumental resolution that allows this kind of advanced analyses. 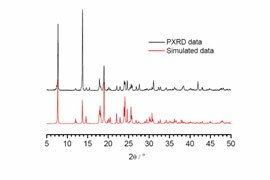 In the Powder X-Ray Diffraction facility is possible to select the service according to specific needs, ranging from the simple collection of data to the full qualitative and quantitative analysis of samples. All the services already include the standard preparation of the sample. 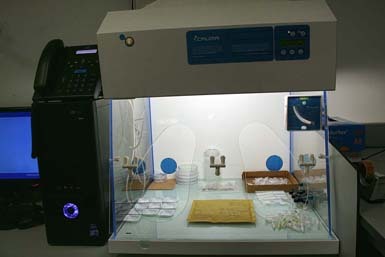 Diffractogram data collection: Data is collected at room temperature. Grazing angle measurement: Data is collected at room temperature. Full qualitative analysis: The qualitative analysis includes full data collection and phase identification. 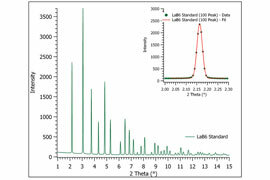 Full quantitative analysis: The quantitative analysis includes full data collection and phase identification. Microstructural analysis: This analysis will determine the average crystallite size and micro strain.